Air Force tech innovator AFwerX, a branch of DEFENSEWERX, is moving in near UNLV. 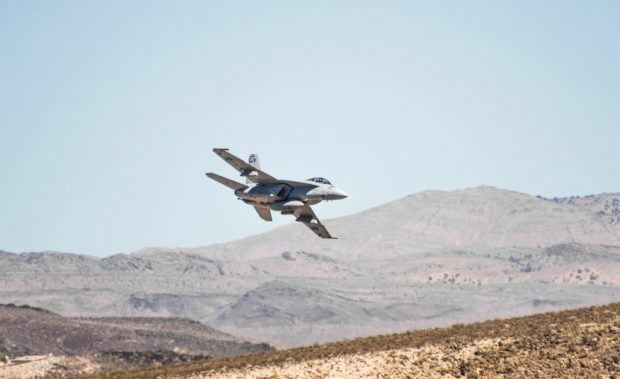 AFwerX acts like a connector between the Air Force (including the Air Force Research Labs and the USAF Warfare Center) and the people who create problem-solving technologies. The Air Force recognizes that there are a lot of great ideas, innovations, and technologies coming from the private sector…but there are lots of people who would love the chance to pitch to a government agency, and only a few with the chops to create something amazing. From the civilian perspective, it’s incredibly difficult for an individual or a small company to get a shot at a government contract, even if their tech is incredible. The Air Force doesn’t have the time and resources to sift through all the people who want to land a government contract in search of the few truly cutting edge technologies, yet they don’t want to miss out on anything that can give the US an edge, either. That’s where AFwerX comes in. The new AFwerX facility in the Howard Hughes Center is scheduled to be open in early 2018. 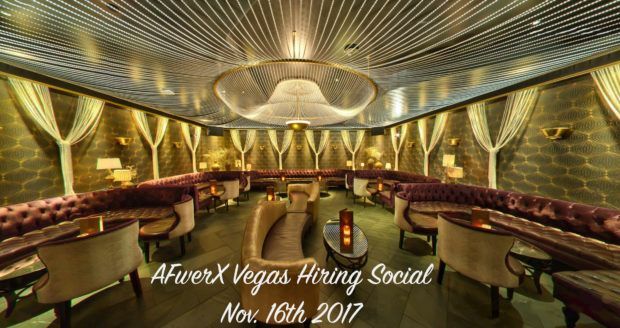 To learn more about employment opportunities at AFwerX, attend their Vegas Hiring Social tomorrow evening at Beauty and Essex in the Cosmopolitan. The event runs from 5 PM until 8 PM – register here to attend. If you’re thinking about joining the AFwerX team, you can find them on Indeed. For companies and individuals who want to pitch ideas and get involved, keep an eye out for tech sprints, engagement forums, and collaboration events where you can network and pitch to AFwerX specialists. Ideas that have potential can lead to government contracts or intellectual property buyouts so that the Air Force can adapt and develop the tech as needed. AFwerX is out to help the Air Force solve complicated problems, and the Las Vegas community is a part of that. Welcome to the neighborhood, AFwerX! We look forward to seeing your completed facilities in 2018.